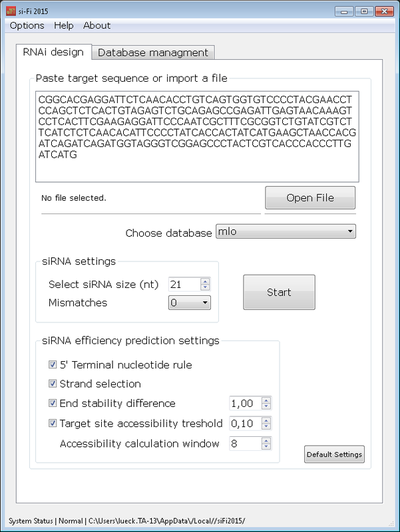 si-Fi is a Software for RNAi (RNA interference) design and off-target prediction. 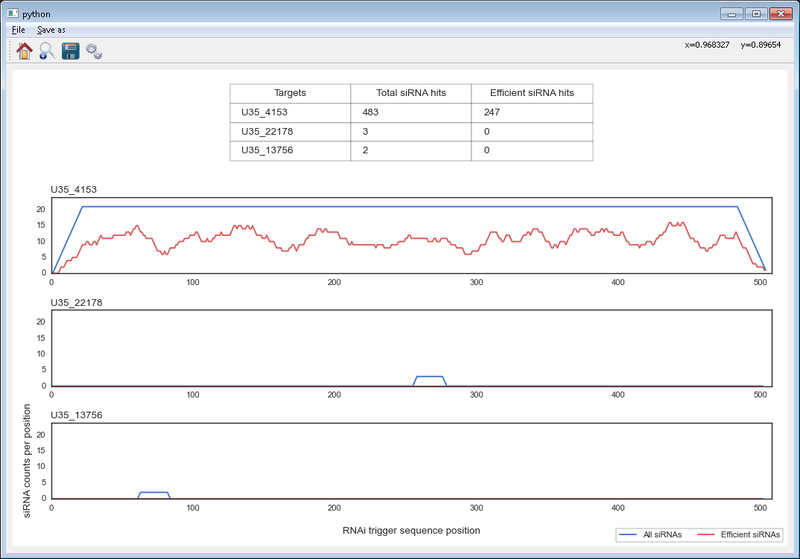 The software is designed for checking long-double stranded RNAi constructs for target specificity and silencing efficiency. 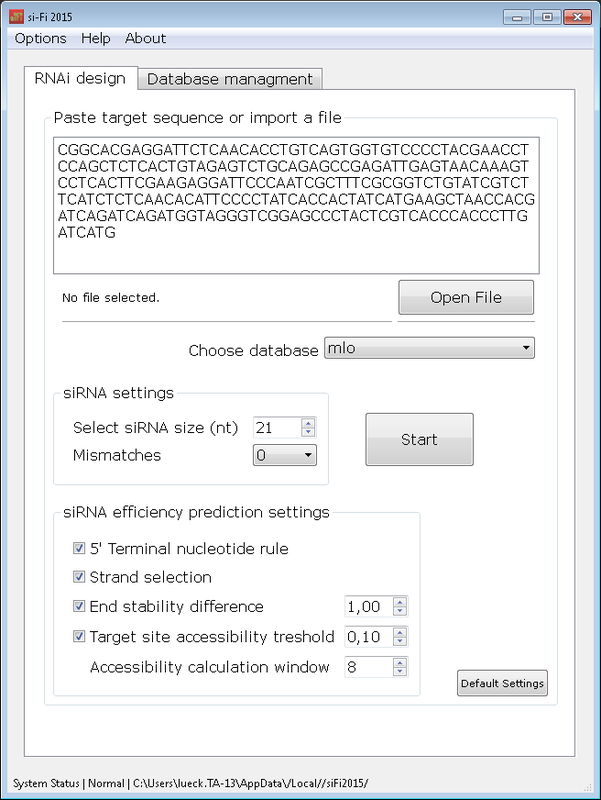 It can be used also to select sequence regions suitable for designing RNAi constructs. The program provides clear tabular and graphical outputs. 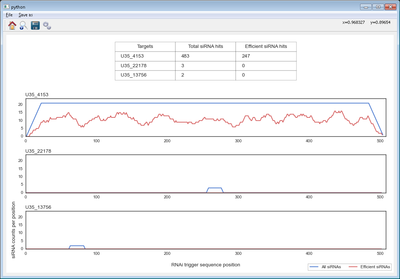 Simply paste your RNAi trigger sequence and check it for targets and off-targets within your local sequence database. Unlike the online tools, si-Fi uses a local sequence database that gives you a full control over it. 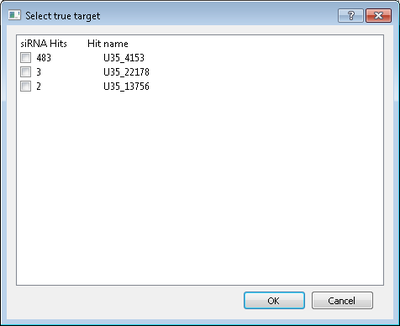 Any sequence database in a multiple Fasta format can be imported with few mouse clicks only. Unigene sets for several species are available for downloading from the specialized online databases.